When you selected your Cadillac, you stepped into your new standard for the world. You deserve the same level of passion and attention to detail from those who care for your vehicle—your Certified Service experts. Maintaining regular service appointments for your vehicle is important. 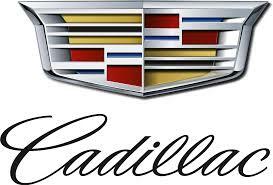 Your vehicle is a part of life, so schedule top-quality certified Cadillac service from the Perrysburg Auto Mall. No matter if you need routine maintenance or big repairs, our Cadillac service center is prepared to help. You expect more than the ordinary, that is why you chose your Cadillac. In addition, no one knows your extraordinary vehicle better than our Perrysburg Auto Mall ASA certified experts. They are trained to know the innermost workings of your vehicle in order to provide you with the exceptional service you demand.